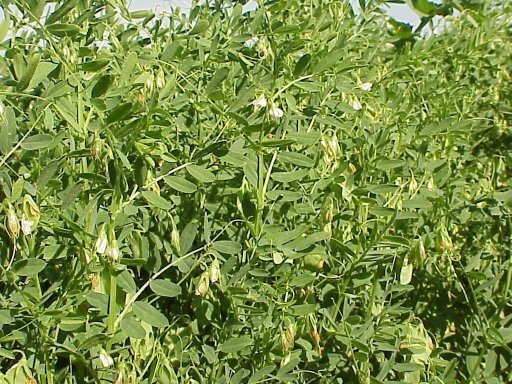 The lentil plant grows 30 - 40 cm tall, bushy and semi-viny annual. It has many soft, hairy branches with pinnately compound leaves and numerous oval leaflets. Flowers are white, lilac, or pale blue. The seeds grow in pods about 1 cm long, each pod bears two seeds in each. 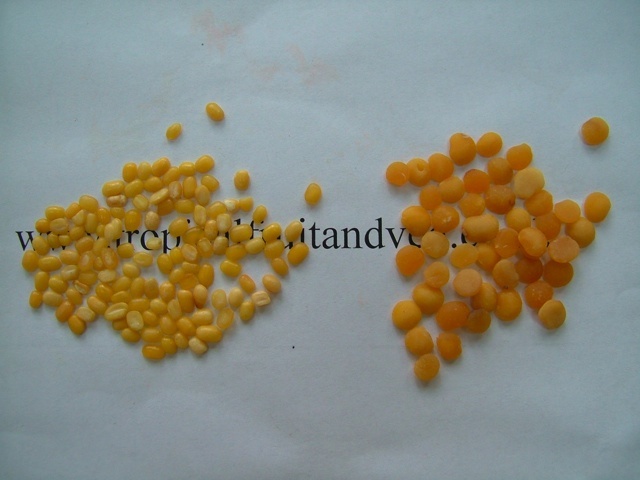 A variety of lentils exist with colours that range from yellow to red-orange to green, brown and black. The colours of the seeds when removed from the pods also vary, and there are large and small varieties. They are sold in many forms, with or without the pods, whole or split. Lentils are very nutritious and can be cooked on their own or added to soups, stews and made into a curry (dhal). They should be soaked for 12 hours in warm water before cooking. Lentils are more digestible than many legumes. The dried seed can also be ground into a powder and used with cereal flours in making bread, this greatly enhances the value of the protein in the bread. The seed stores better if it is left in its husk. Young seedpods can also be used fresh or cooked like green beans. As with other pulses, lentils require a warm and sunny climate for best seed production. Lentils will grow in any soil type.